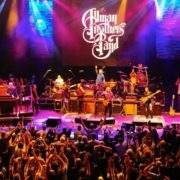 Three years ago today, the Allman Brothers Band played their final show at the Beacon Theatre. You can order a CD of the final show right here. I covered the final shows every which way, posting on Facebook, covering immediately for Billboard, with a story I had to get up and write with about two hours sleep, and writing the following story for Guitar World, when I had a little bit of time to digest and talk to Jaimoe, Warren and Derek. 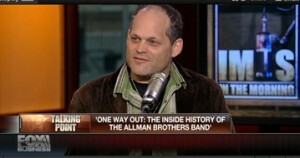 The paperback edition of One Way Out: The Inside History of the Allman Brothers Band includes a full chapter on the tumultuous final year. It includes some of this material, and so much more. Click to order. If you want a signed copy, just drop me a line. Enjoy the story. It’s still emotional for me to read this! 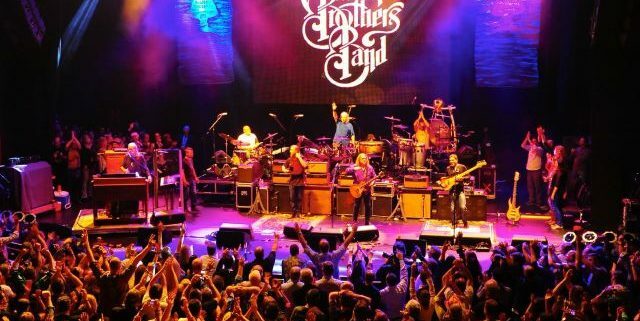 The Allman Brothers Band closed out their 45-year Hall of Fame career with six shows at New York’s Beacon Theater, October 21-28. The group’s final year was dogged by controversy. 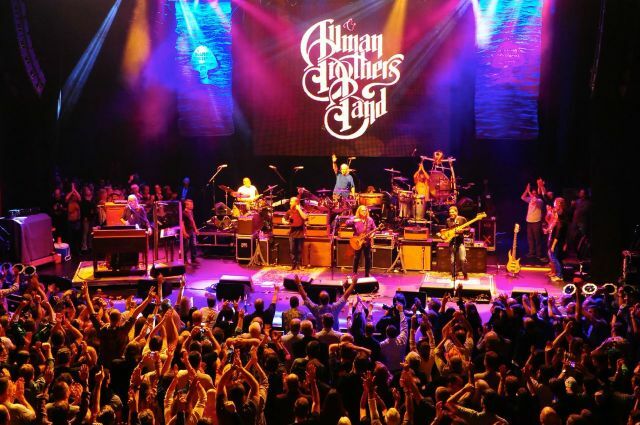 Derek Trucks and Warren Haynes announced in January they would no longer tour with the group after this year, but also said it had been a band decision, Gregg Allman and drummer Butch Trucks sent mixed signals about whether the band was really retiring. 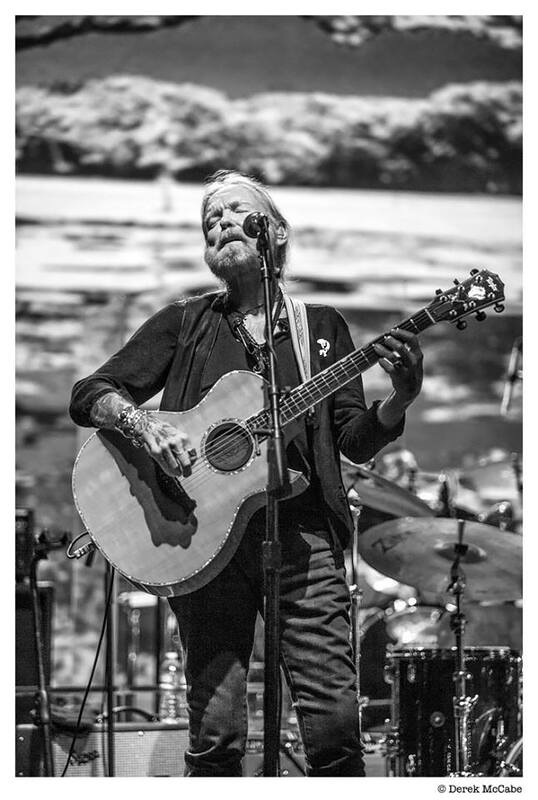 The group had to postpone four March shows at the Beacon when Gregg was physically unable to perform, and the singer also had to cancel a host of solo dates. Yet things seemed calm as they entered the run of final shows. On the eve of the run’s first show, just before a final rehearsal on the Beacon stage, Gregg Allman stood in the theater’s lobby and seemed quite at peace with the band’s decision. On opening night, the theater was filled with an air of anticipation and reverence, a step beyond the normal excitement that has always met the band at the Beacon, where they have sold out 238 shows since 1989. They closed the first set with “You Don’t Love Me.” Before applause could swell, Haynes played a plaintive, almost mournful lick, which revealed itself as the melody of “Will the Circle Be Unbroken.” Derek Trucks responded with a sacred slide wail, Gregg’s churchy organ fell in with them, and the whole band swooped in for a breathtaking instrumental version of the traditional American song of mourning, which always played a special role in the Allman Brothers and which the group played at Duane Allman’s funeral. Before the third show, on Friday October 24, Duane’s two Gibson Les Pauls, a cherrytop and darkburst, arrived from the Rock and Roll of Fame. (See this story for full details.) 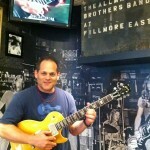 They joined the 1957 Les Paul which Derek had been intermittently playing since the first show, marking the first time Duane’s three primary guitars were all together, and their presence seemed to animate the band, who played their best show since the 40th anniversary performance of March 26, 2009. The surge of energy was testament to the remarkable power Duane exerted on the Allman Brothers Band until the very end. Trucks and Haynes’ playing took on more urgency. The two moved closer together, leaning in to better hear and respond to each note. The drummers hit with more force. Gregg Allman was fully, absolutely present, and singing with extra power and precise phrasing. 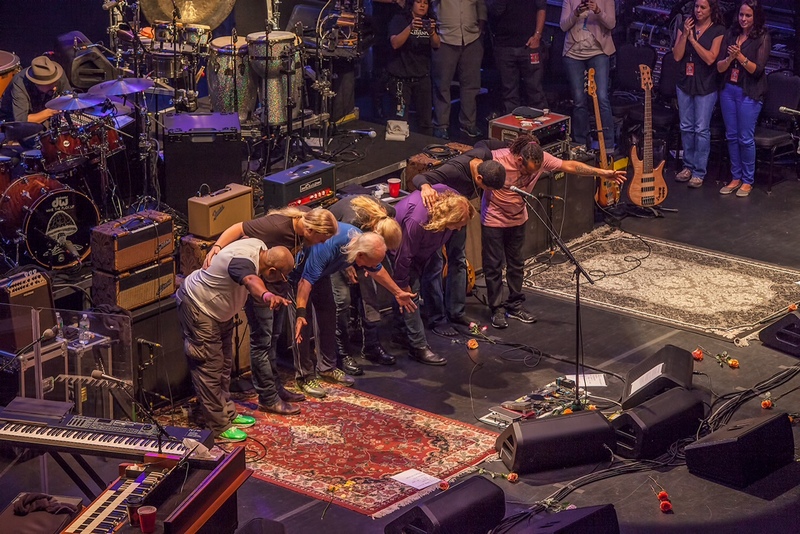 During Friday’s show-ending “Whipping Post” encore, the band stopped on a dime and went into “Will the Circle Be Unbroken” again, but this time Gregg sang it, a mournful, haunting lament that led right back into the finale of “Whipping Post.” The band was flying at a very high altitude. The Allman Brothers mostly maintained this level for two more nights, with instrumental versions of “Will the Circle Be Unbroken” inserted into “Jessica” and “Les Brers in A Minor,” respectively. That left one final show, on Tuesday, October 28th. Grandiose rumors circulated: They would play four sets. They would play until sunrise, just like at the Fillmore East. They would play an hour-long “Mountain Jam.” All the hyperbole turned out to be just a slight exaggeration. From the first notes, it was clear this was going to be a special night. The reverential, ecstatic crowd was hanging on every note, each of which was played with intent and focus. 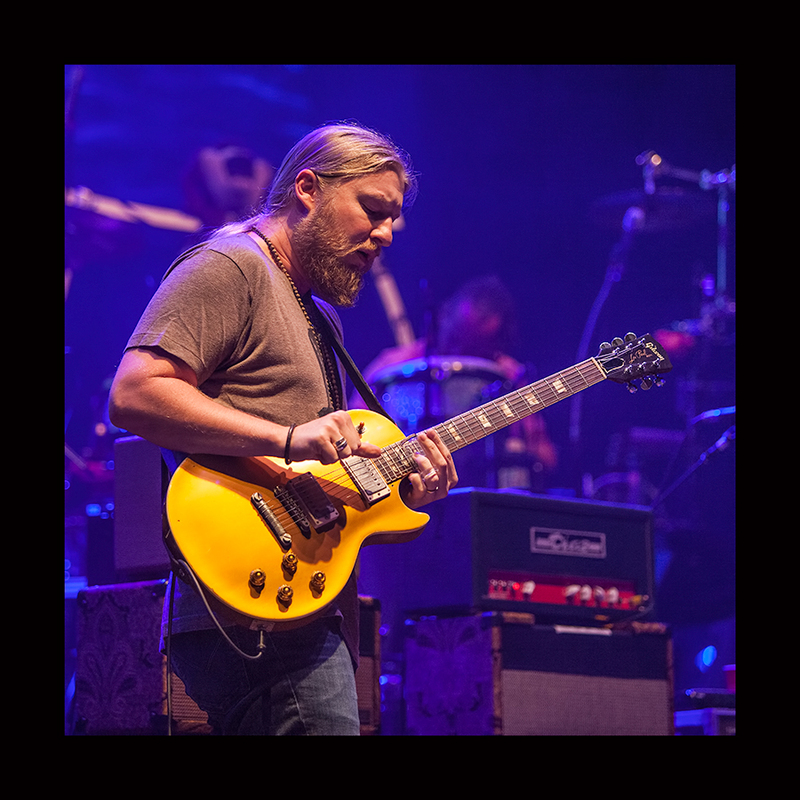 It suddenly seemed likely that the band could actually pull off Derek Trucks’ desire to go out on top of their game. 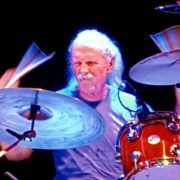 Butch Trucks summoned the old freight train power that drove the band to their greatest heights. 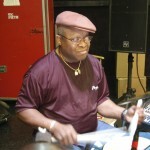 Jaimoe complemented his partner’s fury with swinging accents and added power. Percussionist Marc Quinones heaped coal into the furnace. 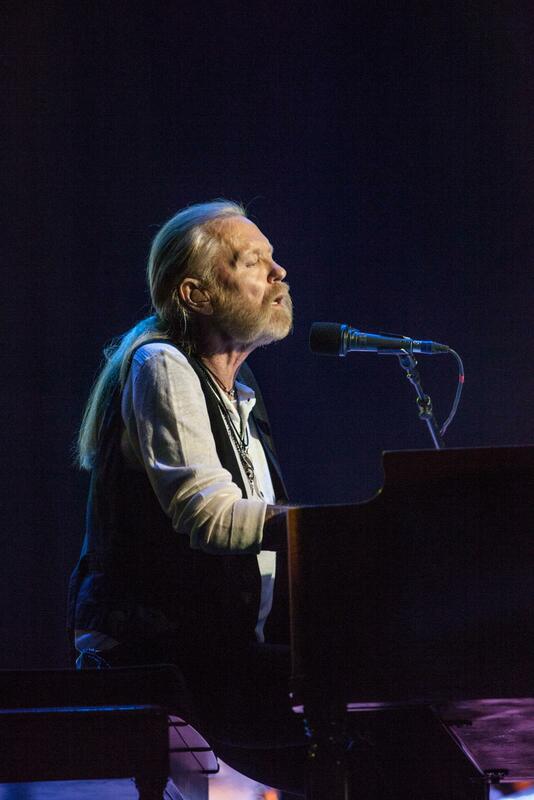 Gregg Allman sang as well as he has in years, while his organ seasoned every song. The frontline of Haynes, Trucks and Oteil Burbridge pushed one another higher in an endless conversation of push-pull rhythms and interwoven parts. The whole audience sang along, leaning forward so much that it felt like the theater might tip over backwards. When the song ended, no one on stage seemed to know what to do, lingering by their instruments. 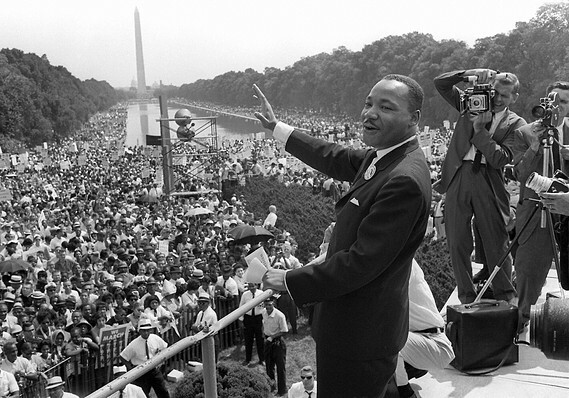 Butch and Jaimoe thrust their arms in the air in triumph. Gregg stood and waved. Haynes and Burbridge embraced. Quinones walked to the front and handed drumsticks to the crowd. The crowd remained in their seats as a slide show of the band’s history, heavy on Duane and Berry Oakley, rolled on screen to the recorded strains of the lilting instrumental “Little Martha.” It was Duane’s only composition, the notes of which decorate his gravestone. It was also the tune that began this night four and a half hours earlier. The circle was complete, unbroken. 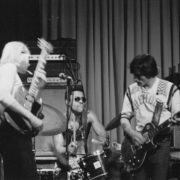 Jaimoe played the shows the highest Allman Brothers compliment, saying the spirit, energy, musicianship and tireless flow reminded him of the original band, that elusive gold standard every other iteration has been chasing like a ghost since 1971. A very different take on "Little Martha"
I was born in 65, and the Alman Brothers Band seemed to be a staple of the listing diet, of everyone that I knew. I was always inspired by the stories I heard, and the way they pushed the envelope to create something new. It was one of my most important inspirations. To write my own songs, to travel my own road, and to strive for greatness and perfection. I had a group of friends, that would hang out at Rose Hill, and visit Dwayne ‘ s grave on a regular basis. ” The Road Goes on Forever ” was written in plain sight of our conversations. And it’s implications seemed to beckon us to Dream of our own journey. Which would always dominate our conversations. It was a beautiful place, and a carefree time. Now, it is so much a part of my identity. No matter where I go, or who I play with, everyone knows me by where I am from. It is a little piculiar, being from Macon Ga, growing up in the 70s, hanging out at the cemetery. It seems so far away. Like another planet. I never could have dreamed, that I could publish my feelings on public media. I never could have guessed, that the world would turn out the way it has. I wonder what it will be like, after I am gone.